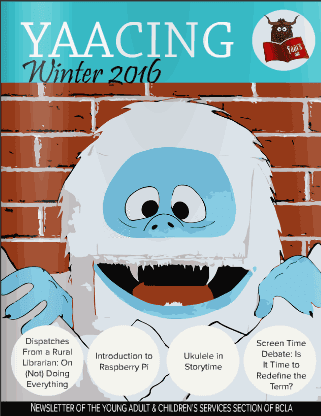 The Winter 2016 issue of YAACING is now available. Click on the first link to read it on issuu, or the second to download the PDF. "Highlights include a new Junior Jive programming column by Alise Nelson, the screen time debate, using ukulele in storytime, and an introduction to Raspberry Pi."